Kelli O’Hara and Matthew Morrison Perform Holiday Concert with NY Pops – pictures! Matthew and Kelli O’Hara rehearse and then perform for “Kelli and Matthew: Home For The Holidays”, the two concerts that took place at Carnegie Hall on December 19 and 20 with the New York Pops led by conductor Steven Reineke. All pictures credit to BroadwayWorld. Kelli O’Hara and Matthew Morrison discuss their upcoming reunion at Carnegie Hall, the finale of “Glee” and their returns to Broadway in 2015. When thinking of Kelli O’Hara, the five-time Tony Award nominee who has starred in revivals of classic musicals likeSouth Pacific and The Pajama Game, the words “drunken brawl” don’t often come to mind. But that’s just what O’Hara will be doing when she takes the stage at the Metropolitan Opera New Year’s Eve inThe Merry Widow. “I’m doing the whole first part of the show, which is more opera, and then I get to finish the show with this drunken brawl kind of thing,” O’Hara said, laughing. Prior to making her debut at the Metropolitan Opera, a life-long goal that she described as leaving her “shaking in my boots a little bit,” O’Hara will take the stage at Carnegie Hall with Matthew Morrison in Kelli and Matthew: Home for the Holidays. Accompanied by the New York Pops, the duo will perform seasonal holiday classics as well as some old favorites. Morrison (Hairspray, Footloose) and O’Hara, who co-starred in The Light in the Piazza and South Pacific, have wanted to present a concert together for many years. Performing in a holiday concert marks a return for O’Hara to a tradition that began at Oklahoma City University, where she studied vocal performance and opera and would perform in an annual holiday concert. Holiday music marks a tradition for Morrison as well, who released the holiday CD “A Classic Christmas” in 2013, and has heard his own voice in various locations throughout the holiday season. 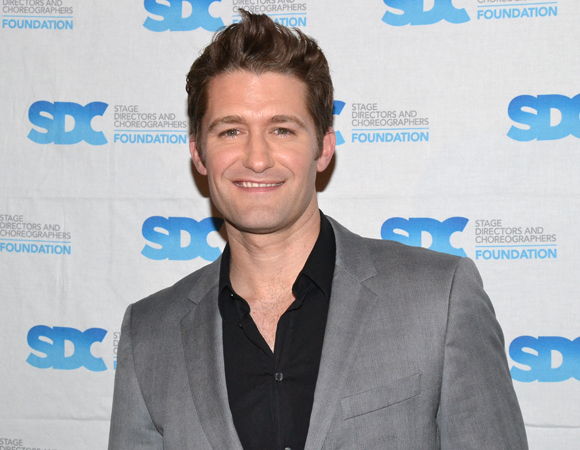 Matthew Morrison has a busy year coming up. As soon as he finishes shooting the final season of the Fox network series Glee (which he estimates will be in February), he jumps right into rehearsals for the new Broadway musical Finding Neverland, in which he plays the estimable Peter Pan creator, J.M. Barrie. But first comes Christmas. Morrison makes a quick trip to New York on December 19 and 20 to perform in Kelli and Matthew: Home for the Holidays, with his frequent Broadway costar Kelli O’Hara, conductor Steven Reineke and the New York Pops, and the 300-strong Essential Voices USA choir atCarnegie Hall. Morrison recently chatted with TheaterMania about this “mind-blowing” experience. You and Kelli have a long history together, in Light in the Piazza and South Pacific. What was the impetus for this concert? We’ve been talking about doing a show together in some format somewhere…We were really just excited to get onstage together again. [Kelli]’s done Carnegie Hall before, but I’ve never done it in my own kind of concert, so this is going to be a new experience for me and something on my bucket list I can cross off. It’s mind-blowing. I’ve always wanted to play there. How do you choose a set list for a holiday concert? What songs are you planning to perform? They had suggestions of classic songs…and we sat down and hashed it all out. Kelli and I will do a couple selections that we’ve really wanted to do, like “Tonight” from West Side Story and “Baby, It’s Cold Outside.” I plan on bringing out my ukulele and playing with the orchestra for a Hawaiian Christmas Song. The great thing about this concert is that there’s going to be a three-hundred-person choir, which is exciting for both of us. Do you and your wife, Renee, have any special Christmas traditions? Honestly, until we have kids, Christmas Day for us has been about flying. It’s the best day in the world that you can get on an airplane, because the airport is completely empty. It’s such a great day to fly. For the past few years, we’ve been flying somewhere on Christmas Day, so that’s what we’ll do. When kids come along, there will be a whole different set of traditions. Switching gears, have you thought about what you’ll miss most about the whole Gleeexperience now that the show is ending its run? Speaking of which, have you started preparing yet for Finding Neverland? I’m jumpstarting all the research I want to do for this part. All my free time is just reading [J.M. Barrie’s] plays and learning about him. He had a very eclectic career. We’ve made a lot of fixes in the script and some songs [since the American Repertory Theatre run]. 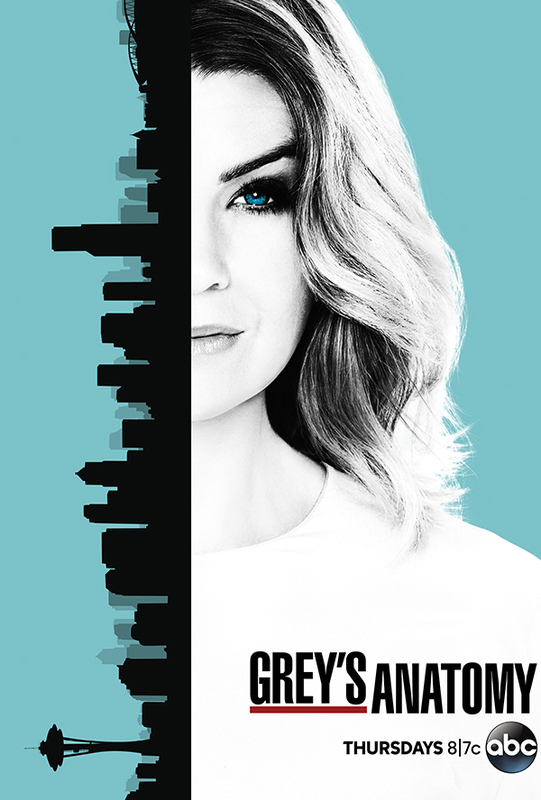 The Broadway show is going to be a lot tighter and with a little better storytelling. Given that Christmas is a time for faithful friends, the New York Pops’ forthcoming “Kelli and Matthew: Home for the Holidays” concert, which reunites Broadway co-stars and longtime pals Kelli O’Hara and Matthew Morrison, couldn’t be more appropriate for the season. O’Hara and Morrison, who were seen together in “The Light in the Piazza” and the 2008 revival of “South Pacific,” will croon holiday classics and a few standards with the Pops in the concert, which hits New York’s Carnegie Hall on Dec. 19 and 20 and will be conducted by Steven Reineke. The performance will undoubtedly be yet another highlight in what’s been a prolific time for both stars. O’Hara nabbed a Tony nomination for her role in “The Bridges of Madison County” on Broadway, while her turn as Mrs. Darling in NBC’s “Peter Pan Live!” was seen as one of the broadcast’s best components. In 2015, she’ll return to Broadway in the revival of “The King and I” after making her Met Opera debut in “The Merry Widow.” For his part, Morrison tied the knot with Renee Puente in Hawaii, and is set to begin rehearsals for “Finding Neverland” just days after his role on Fox’s “Glee” wraps. With 2014 coming to a close, the stars also see the show as a festive way to gear up for their respective 2015 projects, and both couldn’t be looking to the new year with more optimism. That’s not to say the success of “Glee” is lost on Morrison, of course. “Kelli and Matthew: Home for the Holidays” hits New York’s Carnegie Hall on Dec. 19 and 20. Head here for more information. Nearly 10 years after playing lovebirds in The Light in the Piazza, Tony nominees Kelli O’Hara and Matthew Morrison are reuniting on stage. The pair will bring yuletide cheer to Carnegie Hall on December 19 and 20 in Kelli and Matthew: Home for the Holidays, backed by the incomparable New York Pops and the Essential Voices choir. Morrison, who’s busy shooting Glee in Los Angeles, and O’Hara, in the midst of rehearsals for The Merry Widow at the Metropolitan Opera, hopped on a conference call with us to recount their busy 2014, share cheesy Christmas traditions and plan an imaginary Hawaiian dream vacation. Q: Kelli and Matt, you’re both on the line. O’HARA: Matty, guess where I am! I’m in the breezeway at Lincoln Center, standing right in front of our The Light in the Piazza poster, looking at how young we were. MORRISON: Aww, we were babies. O’HARA: We look so happy! MORRISON: We were. It kicked our asses, though. Q: What’s the craziest memory you two have of working onPiazza? MORRISON: For me, it was jumping on board when a lot of people had done it before. I was lost in this world of Italy and crazy operatic voices and I was like, “What am I doing here? !” I felt out of my comfort zone, but it was so rewarding. O’HARA: My memory is [Matt’s] audition. I saw so many guys come through. I had never seen you before; I didn’t know who you were. I’ll never forget when you came in the room and it was just absolutely, unmistakably clear that you were going to be it. Q: With the two of you currently on opposite coasts, what’s the preparation process been like for this concert? O’HARA: Matt sends me recordings of him running through something so I can hear his part and I’m trying to learn my part. We haven’t even seen each other. The day before, we’re going to see each other for the first time to run through things. MORRISON: Yeah, we’re basically learning this show on our own and then we’ll come together. Which I’m not worried about, because we already have this built-in chemistry. Q: What makes performing an iconic space like Carnegie Hall so special? MORRISON: Kelli, you’ve performed there before, right? O’HARA: Yeah. It’s fantastic. There’s a great history to it. There’s a vast expanse that makes you feel pretty powerful. Well, you feel like a tiny little ant, but powerful at the same time. And that huge orchestra and ensemble—The Essential Voices—what it is is empowering. MORRISON: I’ve only performed there once in a benefit concert, so I’m really excited to take more ownership of the evening with one of my dear friends. Q: Matt, what are you looking forward to most about bringingFinding Neverland to Broadway this spring? MORRISON: I think we’ve all grown up with Peter Pan in our lives. What I love about Finding Neverland is the story behind the story. It has great themes of using your imagination and never growing up and keeping that child inside of you always. It’s such a great message. Q: And Kelli, you just wrapped up your own Peter Pan experience. How does it feel now that it’s all over? O’HARA: I’ve done [long runs of shows], and there is something beautiful about that, because it gets richer and you can deepen your performance. But I’m also a person who loves to do lots of things and move on. So I was OK to do it and then step away and go back to something else. Q: What’s your all-time favorite Christmas song? O’HARA: [Laughs.] That’s mine too! MORRISON: Good! There was a debate of who was going to sing that song at the concert, and all I want to do is hear Kelli sing it. Q: What can we look forward to hearing you sing, Matt? MORRISON: I’m going to add a little Hawaiian flair to the evening. I’m singing “Mele Kalikimaka,” which is the traditional Hawaiian Christmas song, and I’m going to bust out my ukulele. Q: What’s the must-have dish on your Christmas dinner table? MORRISON: Oh, you’re so freakin’ country. I love you. O’HARA: I’m southern! We always have cheese grits. MORRISON: I think I’ve had them. Is that your family recipe cheese grits? O’HARA: You’ve had cheese grits at least three or four times from me. MORRISON: Oh, those are so good. That’s my answer, too. Kelli’s family recipe cheese grits. For Kelli’s wedding, one of the coolest things was this recipe booklet as a gift from her family, which I still use to this day. Q: What is your favorite family Christmas tradition? O’HARA: My mom does themed Christmases. So every year, the dinner is themed. It’s actually really fun because it makes every Christmas the same but different. She gets pretty creative. Q: Do you know what this year’s theme is? O’HARA: No, it’s always a surprise. Q: Maybe you could do Hawaiian this year and have Matt play the ukulele. MORRISON: Let’s do it in Hawaii! MORRISON: [Christmas] has been my one break from Glee, so my wife and I always get on a plane on Christmas Day. We pick a place to go and head to the airport. I’m sure when we have kids that’ll change, and we’ll have some new family traditions. O’HARA: No, that’s perfect! You can wake up, do your Santa Claus, and then go right to the airport and go to a brilliant island and swim in the ocean. And I’m going to come along as your nanny. With my kids! Catch Kelli O’Hara and Matthew Morrison at Carnegie Hall on December 19 and 20. Acclaimed illustrator Ken Fallin’s drawings of the greatest stars and scenes of the theatrical world are a recurring part of Playbill.com. This week Fallin captures Tony-nominated actors Kelli O’Hara and Matthew Morrison, who will be featured in The New York Pops’ Kelli and Matthew: Home for the Holidays Dec. 19 at Carnegie Hall. Broadway fans are getting ready to welcome home Tony nominee Matthew Morrison, who returns this spring as the headliner of the new musical Finding Neverland. But before he sets up shop at the Lunt-Fontanne, Morrison is teaming up with his Light in the Piazza and South Pacific co-star Kelli O’Hara on December 19 to sing holiday tunes at Carnegie Hall with The New York Pops. BroadwayBox caught up with the Hairspray alum to talk Glee, Neverland and reuniting with Kelli. 1. What’s one item on your Christmas list this year? I am already starting to think about my Finding Neverland dressing room—I want to make it in the style of that period, like the 1860s of J. M. Barrie—and I just saw online these typewriters you can put your iPad on. The iPad hooks up to it but it looks like an old-school typewriter and you can type on it, so that’s what I want to get. 2. Is there a memory of you and Kelli from Piazza that you’ll never forget? God, there’s a lot. We have a very storied history; there’s some I can’t tell. [Laughs.] Honestly, it was me, Kelli and Bart Sher; we spent a lot of time together the three of us, and together we are such a dream team. I know all three of us are going to do something together again in the future. We just have the best creativity. I’ve never been in the room with such talented people before. Something about the creative process of Piazza—breaking barriers that hadn’t been seen before. 3. What was it about Finding Neverland that you knew this was the show to return to Broadway with? It was interesting I was working on another project; I had been really wanting to do this revival, and I won’t say anything about it because I want to get to it sometime down the line. So then this kind of came to me. Harvey Weinstein called me up and talked to me about the project, and I went and watched the movie and I loved the story. I love theatre stories that take place within the theatre, and this is definitely one of those stories. And since it’s creation by J. M. Barrie, there’s been this universal fascination about the story of Peter Pan, and rightfully so; but to me, what was more inspiring and fascinating was the story behind the story—everyone knows Peter Pan but they don’t know about the backstory. This musical has so many complex character relationships—interpersonal and within one’s self—and focuses on the themes of restored optimism and the power of imaginations; all these things are reasons I fell in love with the show. 4. What’s something unique that is on your bucket list, professionally or personally? Playing Carnegie Hall. Honestly, three of the places I’ve always wanted to play: Carnegie Hall, Royal Albert Hall and the Hollywood Bowl. I’m so excited to be up on that stage with Kelli and the three-hundred-person choir behind us. It’s going to be special. 5. If you could only pick one scene from all your years on Glee for your reel, which one would make the cut? It would be the scene where I found out my first wife, Terri, was faking her pregnancy. I was just really proud of the work Jessalyn Gilsig and I put into it. It’s different in television; you don’t have rehearsals per say. That’s the thing I love about theatre, the rehearsal process and finding new things. So Jessalyn and I got together and really rehearsed it a lot. We thought the scene was very special and written so well and we wanted to do it justice. 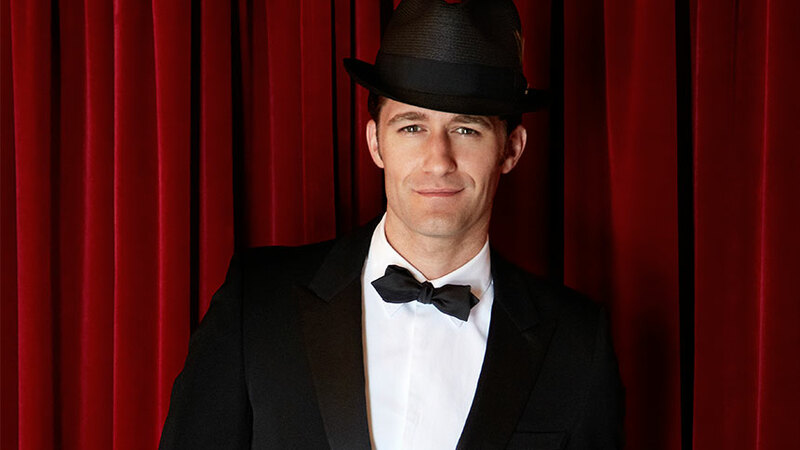 Don’t miss Matthew Morrison sing your favorite Christmas songs in ‘Home for the Holidays‘ at Carnegie Hall on December 19.